For a democratic secular Iran. For peace and prosperity in the Middle East. : Appeasement of Terror? I am hearing so many conflicting reports about the mastermind of London bombings, Haroon Aswad, that its hard to make any convincing conclusions. Examining the telephone records of the London bombers reveals that they had all made telephone contact with the 30 year old Aswad and the sequence of events below is the best I can gather of Aswad's movements. Born in Yorkshire in England but from Gujrati Indian origin, Aswad obtained a diploma in electronics and then headed to London for Islamic studies where he met other extremists such as Sheikh Hamza of the Finsbury Park mosque. In 1999, Aswad went to America. The Justice Department wanted to indict him in Seattle because he was trying to set up a terrorist training school in Oregon, but apparently the headquarters of the US Justice Department ordered the Seattle prosecutors not to touch Aswad. Later he was believed by the US authorities to be dead but the South African intelligence came across him, where he was fundraising for the "cause". However he was not arrested, Aswad instead flew or was flown to London. Haroon Rashid Aswad allegedly left London for Pakistan on July 6, one day before the 7/7 London bombings. Aswad was then arrested in Pakistan and jailed, but released again within 24 hours. Instead of being sent to London for questioning, Aswad flew to South Africa. From there on it is unclear whether he went to Zimbabwe or Botswana before being arrested in Zambia on immigration charges and deported back to England. Aswad arrived at a Royal Air Force base in Northolt, west of London and later said to be detained in Paddington Green police station. What is for definite is that the same enthusiasm shown in putting seven bullets into the head of an innocent Brazilian travelling on the London underground was not initially shown in detaining Haroon Aswad flying around the world. Now there are many conclusions that can be drawn from all this. 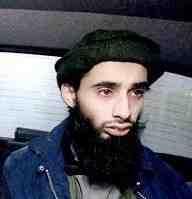 1) Haroon Aswad is/was a British intelligence plant within the Islamic extremist networks. This is perhaps the best conclusion, after all this is the type of operation that intelligence agencies should do, infiltrate the terror organizations and gather intelligence. However that then poses the question as to why the London bombings were not prevented. Was Aswad a double agent? Did Aswad fool the British intelligence into thinking he was working for them and actually gave them wrong intelligence? 2) Terrorism expert, John Lofus however thinks that Aswad and the growing number of Islamic extremists we have seen spawning across England were actually part of a deal with the extremist organizations. "It was one of those you leave us alone, we leave you alone kind of things." claims Loftus i.e. appeasement with the terrorists. So how did the truce collapse in 7/7 bombings? Loftus goes on to explain "the Israelis say that the truce went on for years. Guys from Al-Muhajiroun for example would bring suicide bombers to Israel to blow up Mike's Place. There was a definite link there. And yet the trainer, Sadiki Al Kahn, was able to go back to Britain and not be touched. What the Israelis believe happened is that Usama Bin Laden got desperate, and he said burn all our bridges--let's turn on the British. Break the truce, start the bombs." Well who knows, may be we will never know. If the second conclusion is true however and we are to believe John Loftus, then that is the worst scenario. Appeasement with Islamic terrorists is no less of a mistake than Chamberlain's appeasement with Hitler. Islamic fundamentalism is a global threat, just like Hitler was. As I once said in a BBC interview, to combat the global threat of Islamic fundamentalism, we need a united global front. Nice blog, If you get a chance check my site out. I have a vinyl coated mesh tarps site. It pretty much covers vinyl coated mesh tarps related stuff. I run a site called antwerp diamonds . If you got time, stop on in and check it out. You might find some useful info. What an interesting Blog you have! been looking at blogs all day...I have a ##Art Print, Poster## RSS Feed. Come take a look some time! I have a internet business site/blog. It pretty much covers internet business related stuff.